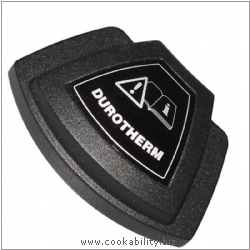 Lid grip for Durotherm Chrome pressure cooker. Please double check original Kuhn Rikon part numbers in your instruction manual. Our codes are the same but have a prefix KR.